An update to Instagram now blocks third party apps from uploading pictures to the Instagram site. These third party apps were part of a cottage industry that sprung up in the face of Instagram's refusal, at least to this point, to launch a Windows Phone flavored version of the photo sharing social network. Pictures uploaded to Instagram from Instance, one of the third party Instagram clients available from the Windows Phone Store, were still being removed as of Tuesday morning. Instance developer Daniel Gray sent out a tweet Monday night that read, "Evidently Instagram has little spies that watch every @WindowsPhone user and deletes their images after uploading." While Gray is obviously disappointed, he says that he holds no grudges against Instagram and his main concern is for those who bought his Instance app from the Windows Phone Store for $1.49. He also has a Pinterest client for the platform called Pinsation. While Windows Phone users might end up having to wait for an official Instagram client, the Nokia Lumia 1020 comes with Instagram rival Oggl on board. then make an official app and stop b!tching!!! So? His point still stands. Seems like they are intentionally c0ckblocking 3rd party apps and yet not making an official app. That's bogus. If I paid $1.49 and I can't use the app anymore, I'd be pissed. Instragtam needs to hurry up and release the app on WP8 already. No excuse. Instagram why you so evil ? Why do you think? FACEBOOK OWNS THEM! I don't see how adding pics through a third party site is spam. 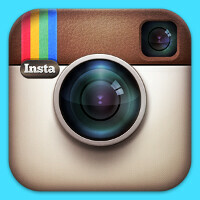 Instagram needs to make the app available for Windows Phone or partner with a site that allows us to share pics. So I wasted my money buying those third party apps. He is right.... It is their site. If they choose to close off 3rd party apps, WP users loose, but it is their right. I keep hearing an actual app is coming. I hope that is true. I do not use it, but it is on the short list of apps that are asked for. I really dont know whats taking these large companies to produce their apps for other platforms. Hmm. It's not like they dont have enough programmers go produce it right? Instagram stayed small for a long time for a reason. They were exclusively on iOS for a long time for a reason. I'm not sure how much Facebook's ownership has changed their dynamic, but they did not want demand to overwhelm their system and compromise any user's experience. I understand blocking third party apps. Its instagrams service and if they don't want it on a platform it happens. But why punish users? My pics are still available for me to see but anyone viewing my profile gets squat. Not even the pictures I posted on the official instagram when I had a galaxy are visible. All the users want is to use their service and we get punished for it? Try instagraph. it is working fine with upload pic.